How Long Will The Proform Smart Pro 5000 Last? Though not their best, Proform’s Smart Pro 5000 is still one of Proform’s better treadmills. The accessory bar that they advertise actually helps to provide a little more support for the frame. With this, this treadmill has a sturdy build with added elements that help improve its durability. A heavy jogger or light-moderate runner is likely to see a long life out of the Smart Pro 5000. Like always, though, we do like to add the bit on upkeep. While we can judge how a treadmill is built, we cannot predict a treadmill’s life if it is not properly maintained. Taking small steps like unplugging your treadmill when you are done and setting up a cleaning and lubricating routine will help your treadmill last longer than a teenage boy in the bedroom. Proform's Smart Pro 5000 is Proform's in-between model between the 2000 series and the Smart Pro 9000. This treadmill is a good, sturdy treadmill with a decent build and a large number of workout programs. However, we do have a few concerns about the iFit subscription, the pricing, and the company service. Taking all this into account, we have dubbed the Smart Pro 5000 Runner-Up on our 2019 Best Buy list among the $1,500 to $1,999 dollar treadmills. While we tend to do a lot of splitting hairs when we look at treadmills in this price range, the Smart Pro 5000 introduces a different kind of comparison. Our Third Place Best Buy, the Smart Pro 9000, is about $400 more (please note that the prices may vary depending on sales) than the Smart Pro 5000. What's the cost difference for you ask? Three inches. Yup, for about $400 dollars more, you can have a ten-inch screen instead of a seven-inch screen. While we have spoken well of Proform’s ability to justify their price jumps between models, a three-inch difference is a tad pesky. When you look at the 5000 and 9000 side by side, other than the screen, their specifications are identical. On the bright side, if you want to save a few bucks but still purchase a decent machine, then the Smart Pro 5000 may be a good option. The Smart Pro 9000 owners may be a little annoyed though, or they may really enjoy the extra three inches. Some of the good qualities of the Smart Pro 5000 include a sturdy build, a large number of built-in workouts, and an uncommon decline ability. Compared to other treadmills in this price range, this treadmill's build is relatively decent and is likely to prove quite durable. Proform has also developed their three percent decline feature. While we are suspicious of a ploy to test consumers' grace and sell a new line of console padding, we like to see companies add value where they can. In regard to the programming, one cannot ignore the added value of programming that most other brands do not have. With that said, we are wary of the subscription that comes with the iFit coach. Though Proform provides one year free, in order to fully reap all that this treadmill has to offer a Smart Pro 5000 owner is almost required to pay at least $30 dollars a month for an additional program. Some users may enjoy the workout journaling and the coaches who could be cast in a tribute to Bay Watch. But, there are some who may not appreciate the push to spend more money after shelling out so much for the actual treadmill. The other Smart Pro 5000 features are pretty standard for this price range: a twenty-two-inch walking area, foldability, fifteen percent incline capability, and 12mph speed capacity. The five-year parts and two-year labor warranty is pretty standard but still does not carry as much weight as the other brands' warranties in this price range. While Proform has released a decent machine, their company's service has yet to make great improvements. Thus, a Proform warranty is not as valuable when compared to other treadmills' in this price range. Over the years, we have equivocated the Smart Pro 5000 to the NordicTrack Commercial 1750. Since both brands are part of the Icon family, one would see how the comparison makes sense. Even still, we have regarded Smart Pro 5000 as a decent treadmill built with quality but unfortunately backed by a subpar company. While we have recommended this treadmill, we have also warned against the Icon customer service. We have named the Smart Pro 5000 our 2019 Best Buy Runner-Up in the $1,500 to $1,999 dollar range due to the fact that it is an in-between treadmill with an okay company to back it up. 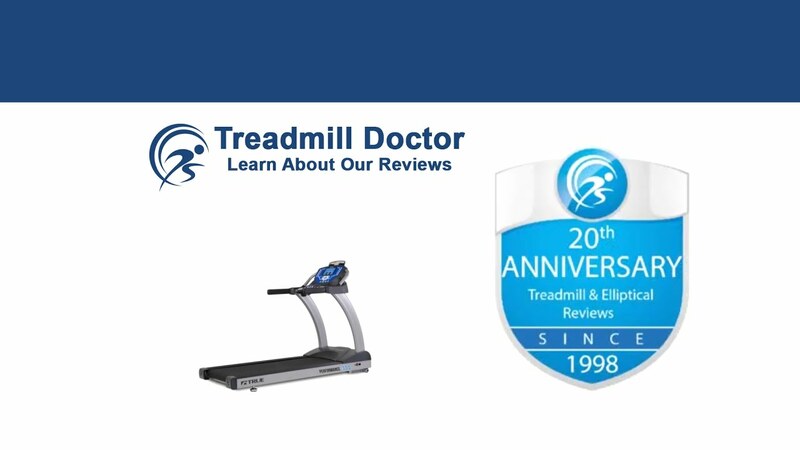 While this treadmill has a durable build and a few good qualities like a unique incline and many workout programs, we are concerned about Proform's pricing decisions, customer service, and coupling with iFit. Though the Smart Pro 5000 will hold up well for a heavy jogger or light-moderate runner, there are better treadmills for about the same price. After a ton of research, I ordered this machine in September. It took several weeks for delivery. Everything seemed great at first, but in fewer weeks than it took to receive it I started having issues. It stops abruptly mid-workout during every single use. Customer service is a joke. You can't get ahold of anyone and sit on hold for hours. I finally got someone and was pawned off onto ifit where my call went unanswered past closing time. Save your money.